We're still not quite sure what to make of Nokia's Android smartphone—allegedly codenamed Normandy—but after several leaks we're starting to get a sense of how the Finnish company may have modified Google's mobile OS. 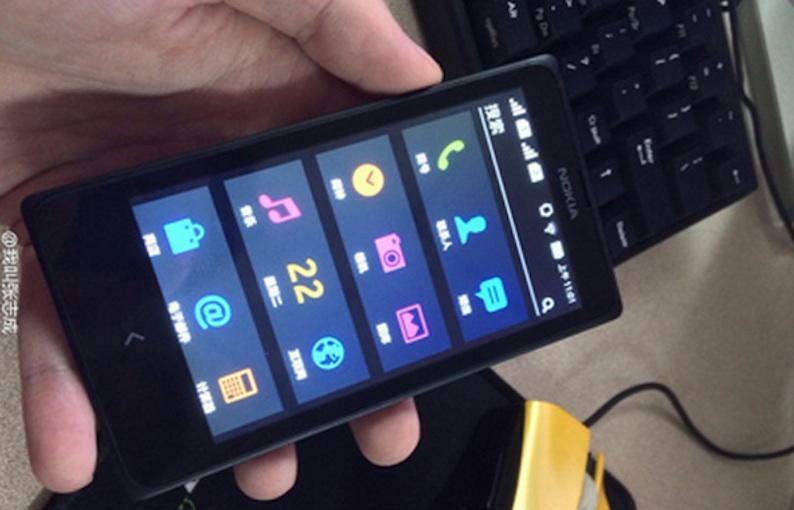 Two new photos leaked in China show the Nokia Normandy booting up and displaying a homescreen made up of four rows of icons. While the first image doesn't reveal much, the second photo gives us another good look at Nokia's forked version of Android, this time running in Chinese. The modified OS actually looks pretty primitive, offering up a somber grid of icons unlike the dynamic UI's we've come to expect from iOS, Android and even Windows Phone. At the top of the display we see the device is running dual SIM cards, while a search bar hovers just below. If anything, the simple design suggests this is a tweaked version of Android for Nokia's emerging market Asha devices, instead of something for a flagship. There's still no word on whether the Normandy will ever see the light of day. The device was reportedly in development before Microsoft agreed to buy Nokia's mobile division, suggesting the Android handset will be discarded as soon as the $7.2 billion buyout is finalized. The deal isn't expected to go through for another few months though, so it may still be a while until we learn the fate of the Nokia Normandy.